We've worked with a lot of energy companies, including propane suppliers. When asked which scales we'd suggest for propane filling stations, we've always recommended the same scale and decided to share this affordable and safe solution. 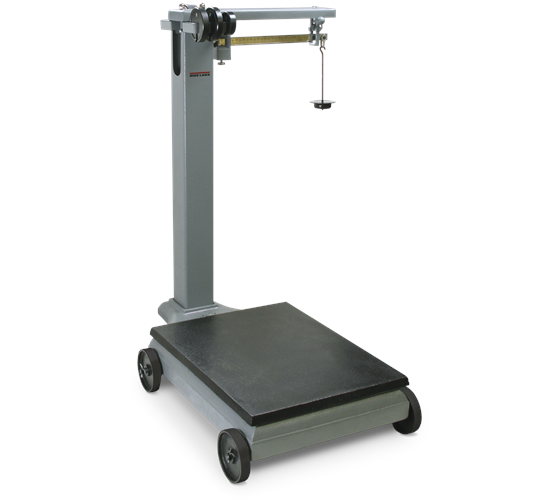 Enter the Rice Lake RL1200 portable beam scale. Filling propane tanks poses inherent risks and can be dangerous if not properly handled. First and foremost, propane is highly flammable and can easily ignite from even the smallest sources. It is for this reason that any scale used for propane filling should be intrinsically safe. Electronic models are available but there is nothing more reliable, and affordable, than a good mechanical scale. No electronics. No power. No potential ignition sources. The Rice Lake RL1200 Mechanical Portable Beam Scale is perfectly suited for the job. Being entirely mechanical, it is naturally intrinsically safe. Simply put, there are no sources of ignition. The scale is constructed from cast-iron metal making it exceptionally durable and capable of standing up to rigorous use. Mobility is a breeze with integrated grab handle and heavy-duty wheels. All of this combined with a simple graduated beam and counterpoise weights makes the RL1200 a user-friendly and safe option for propane filling. A large platform measuring 24 x 18 inches accommodates propane tanks nicely. The weighing platform is made from cast iron as well and is painted to help protect against the elements. With a capacity of 1000 pounds and readability of 0.5 lb, the RL1200 is ideally suited for propane filling stations. The scale can also be used for other weighing tasks as needed given their exceptional capacity and mobility. Mechanical scales are suitable for a wide-range of industrial applications. But for the purpose of propane filling stations, they are ideal. Rice Lake RL1200 beam scales are NTEP approved for legal-for-trade applications. When selling propane by weight, it is required by the State of Michigan that the scale is NTEP approved and placed-into-service by a state certified technician. Legal-for-trade requirements vary by state but are usually very similar. We suggest speaking with your local weights and measures authority to determine what is required. Want to buy a Rice Lake RL1200 or have more questions? Feel free to contact us using the link below!